paper askew studio: Take Out anyone?? WOW has it really been a week already since my last post. I guess time flies when you are having fun, huh?! I have actually been busy trying to start a new blog where people can order finished die cut products. A new little venture, we will see where it takes me. I will still post here with all of the cards and 3D items I am making, so don't worry, you are stuck with me...ha ha! 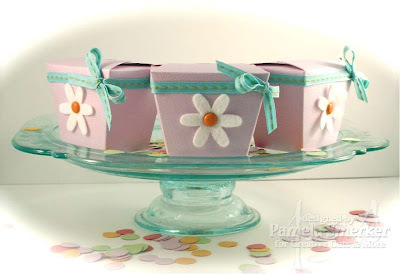 So onto to the project here... the adorable mini "Take Out Box" from Creative Cuts and More. These little cuties are only a couple of inches wide by 1 1/2" inches tall. There are holes for a handle, but my original plan was to stack a bunch on top of each other and a handle would just get in the way. So I covered the holes with ribbon, then only had time enough to make a few...oh well, next time! P.S. 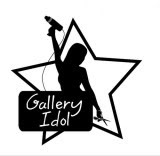 Dont' forget you still have time to participate in the Creative Cuts and More "Customer Challenge"! These are so cute. Love the new blog with all your products. Good luck! Tooo cute Pam! Good luck on the new venture too! What a neat idea! So sorry about you little one...so much crud going around! bleh...Hope he is better soon! Pam!!! I am so proud of you!!! I wish you all the luck in the world with your new site. You are just so ROCKIN! Love these take out boxes! A winner...its a piece of cake!